Advice Home > Anxiety > ADHD And Anxiety: Is There A Connection? Although they can occur separately, Attention Deficit Hyperactivity Disorder (ADHD) and Anxiety Disorders commonly occur together. 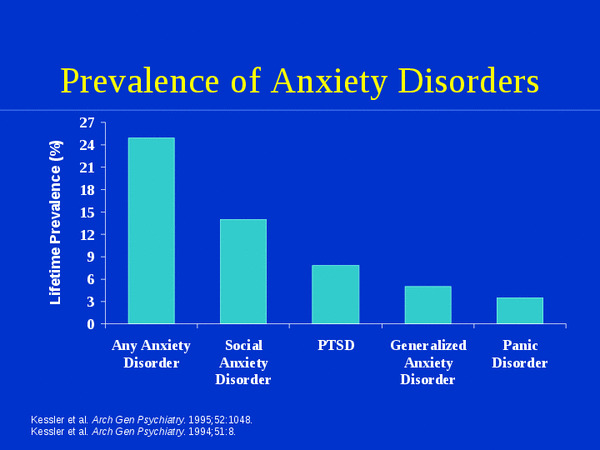 In fact, around 1/3 of people with ADHD also have issues with anxiety. Because the symptoms of ADHD and anxiety often mirror each other, it can be hard for a person (and their doctor) to determine whether they have problems with attention, worry, or both. Learning how these conditions are connected, the differences between the two, the symptoms of both, and treatments is the first step of taking control of your health or helping a loved one with theirs. Because they mirror each other, it can be difficult for one to determine whether they have ADHD, anxiety, or both. 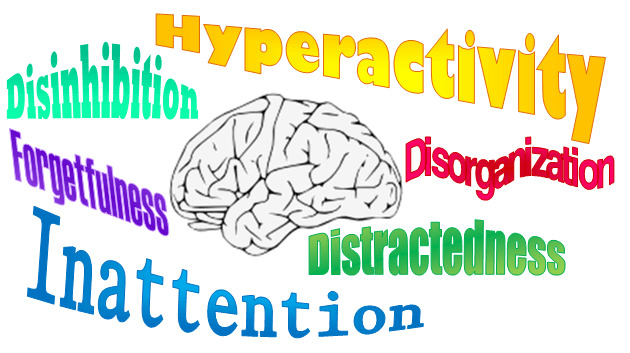 Hyperactivity: The need for constant activity is known as hyperactivity. People often describe hyperactivity as being "driven by a mother." Typical ADHD behaviors that represent hyperactivity include difficulty being quiet during times where one should be (e., reading), talking too much, and fidgeting/constant moving. Inattention: The inability to stay focused on tasks refers to inattention. Although not everyone experiences hyperactivity as described above, most people with ADHD will have trouble with attention span, especially at school or at work. If you wander off task, are disorganized, are easily distracted by outside influences, or have difficulty following detailed instructions, you may have a problem with inattention. Boys are much more likely than girls to be diagnosed with ADHD. Up to 30% of children and 25-40% of adults diagnosed with ADHD will also be diagnosed with an anxiety disorder. Up to 70% of people with ADHD will also be treated for depression at some point. Like anxiety disorders, ADHD tends to run in families. While the general public only has around a 4% likelihood of having ADHD, someone with a close family member with ADHD has a 25 percent chance. The diagnosis process is a difficult one since there is no single test for ADHD. This why having a professional therapist with who one works with is so important. Avoiding public places, social situations, or other circumstances that might induce anxiety. This last symptom is an especially common one, especially for those with ADHD. Roughly half of the people with a social anxiety disorder (SAD) also have ADHD. This means that on top of the traditional ADHD symptoms like impulsivity and inattention, one might also struggle with being overly anxious when faced with or even thinking about social situations. It can lead to panic attacks and light-headedness as well as other physical symptoms. Although experts aren't sure the exact reasons why ADHD and anxiety disorders often occur side-by-side, most agree that ADHD is probably the culprit. You see, ADHD symptoms can make life very difficult. For example, intrusive thoughts and the inability to sit still can cause one to get in trouble at school or home. Reckless behavior and impulsivity can lead to one getting fired from work or losing the trust/respect of their spouse. Even the thought of these types of things occurring can bring on fear and worry. Also, many symptoms of ADHD and anxiety can overlap. For example, restlessness, issues with falling asleep, and fear can be seen in both disorders. There is also evidence to show that ADHD and anxiety disorders, such as OCD, are based in genetics, meaning a person with one disorder might be genetically susceptible to both. This can create quite a problem since having an anxiety disorder can make ADHD even more difficult to treat. But thankfully, with proper diagnosis and an appropriate treatment plan, both ADHD and anxiety, even in combination can be successfully managed. Whether ADHD and anxiety run together or separately, it is essential that these conditions be diagnosed, treated, and managed. Although many people are reluctant to even admit to themselves that they are struggling with ADHD/anxiety, staying in denial and not treating the symptoms can wreak havoc on one's life. Thankfully, it doesn't have to be this way since there are many successful treatment options. Because the anxiety associated with ADHD usually stems from the ADHD and not the other way around, most doctors suggest starting treating ADHD first. When you consider the fact that the starting treatment for anxiety used by professional therapists, CBT, isn't very successful if the patient can't focus due to ADHD. Eating a clean diet while avoiding sodium, MSG, HVP, yeast extract, caffeine, sugar as well as artificial sweeteners. Ask your doctor about the possible connections between food intolerances and ADHD. Go to bed on time and make sure to get adequate rest. Buy a fidget toy or try doodling or chewing gum when you struggle to pay attention. Cut screen time, especially before bed. Although treating ADHD might be the first line of treatment, you shouldn't ignore your anxiety. When untreated, anxiety can damage your health and even cause other medical issues. Many medications can be used to lessen anxiety and chronic worry, but because many of these can lead to addiction, some people choose to go a more natural route. Whether you want to use prescription medication to reign in your anxiety, there are other things that you can add to your routine and strengthen your treatment plan. The exciting thing is that most of these alternative treatment options can also help treat ADHD. The number one way that you can help yourself deal with both ADHD and anxiety is to seek support. This especially important since both of these disorders, even when presenting separately, can be isolating. Not only should you find a doctor that is committed to helping you live the best life possible, but you should also see a therapist trained in dealing with both ADHD and anxiety. He or she will be one of your best assets when trying to come up with ways to overcome troublesome symptoms. One final way to find encouragement is through a support group. For a long time, this was difficult for people with ADHD and anxiety since social interactions are often a source of fear, but online networking has changed all of that. The first step, reaching out for help, is usually the most difficult, but it is necessary for full recovery.